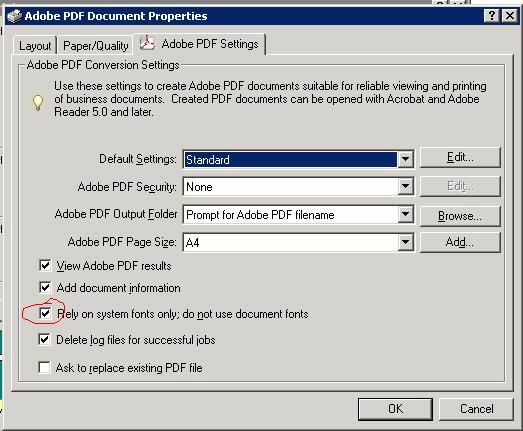 Creating a PDF from Excel typically requires printing to the “Adobe PDF” printer, selecting the location and file name to save the .pdf as, and finally getting the newly created PDF opened in Acrobat. Automating this is not very straight-forward, and took quite a while to get “right”. The problem here is that this setting is in no way persistent, often resetting to its checked state – and there is no registry setting or .ini file setting to force it unchecked. As usual, these are the specific versions I use – other versions should work just as well. On to the PDF producing code – either use the code below, or import this handy pre-made module: PrintToPDF.bas (note that this needs some manual changes). This procedure finds a specifically named printer, uses its driver to produce a PostScript file, then uses Acrobat Distiller to convert the .ps to .pdf. You will need to add a reference to Acrobat Distiller manually in the VBA editor. Prt_On = " On "
This is also defined in PrintToPDF.bas linked above.